Hold your next business meeting in one of our 3 meeting rooms. Need an office for the day? We offer daily office rentals too. OzSBI meeting rooms are available for rent to the public for business purposes. 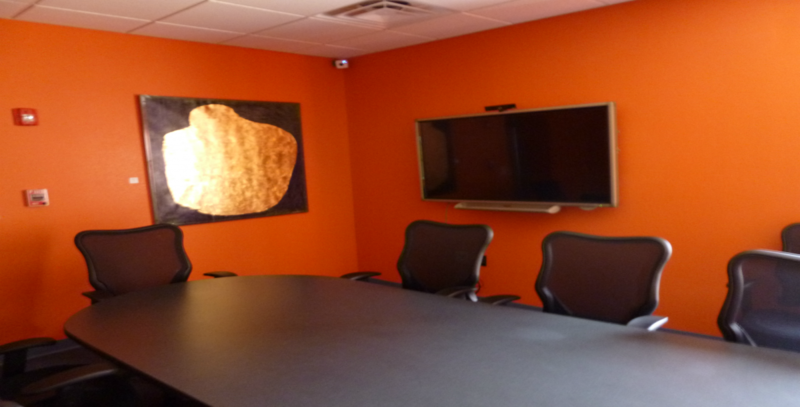 We offer professional space for board retreats, trainings, or to meet with a potential client. 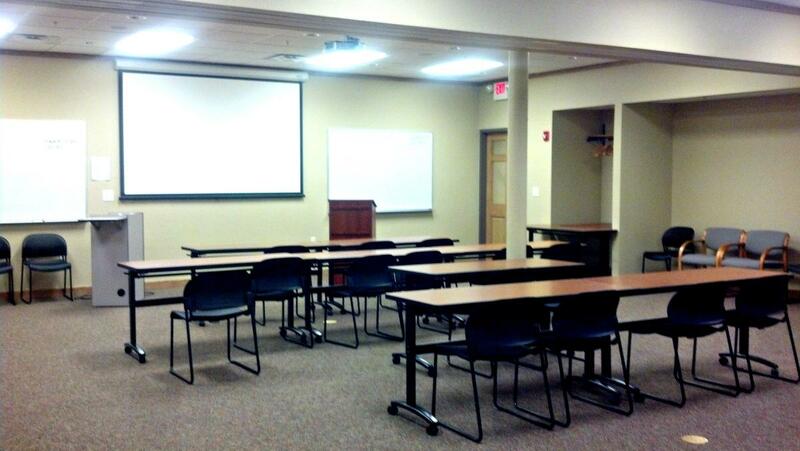 Our space is also ideal for companies wanting to test the local market before opening an office in West Plains. The Board Room seats 12 comfortably. The room is equipped with an LCD television with HDMI hook-up, white boards, and a kitchenette. The Conference Room at OzSBI seats 70 (or 40 with tables). It is equipped with a ceiling-mounted computer projector, pull-down screen, 4 white boards, and a coffee bar. An acoustic folding wall can divide the large room into two smaller rooms. The Think Tank seats 10 comfortably. A 60-inch interactive display monitor is available for use and is ideal for go-to-meetings and working collaboratively with clients. The room is also furnished with a white board and coffee bar. The Hangarr is the newest meeting space. Located on the second floor and it features a 65-inch Samsung SMART TV. The room seats up to 14! Office by the Day is an option for traveling business people or companies without a local permanent address. Individuals may rent a large or small office for a daily rate.